Is AV Really Killing the Written Word? It’s no longer a prediction—it’s a reality. Audio/video (AV) content exceeds written content in terms of web traffic—garnering 70 percent of all consumer Internet traffic in 2015, a number predicted to reach 82 percent by 2020. But content writers and Internet purists still cling to the idea that the written word is irreplaceable—perhaps with good reason. Facebook executive Nicola Mendelsohn recently remarked that Facebook’s platform will be 100 percent video five years from now. She cited reasons such as an annual decline of text on the web, and the capacity for video to convey more information more quickly than text. Mendelsohn is far from alone in her belief, but some question its validity. After all, the assertion that “video killed the radio star” still hasn’t come true even 35 years after the launch of MTV. Spotify, Rhapsody, Tidal hi-res audio, and a number of other streaming music services indicate that audio still holds a strong place in entertainment. Even as you read this article, you’re proving Mendelsohn wrong. The written word still graces page after virtual page on the Internet. A picture may be worth a thousand words, and a video even more, but written content is better equipped to deliver in-depth information. The written word has the unmatched ability to convey information in such a way that readers can skim it quickly and extract the details they need. AV content may share a captivating story and give consumers a better “feel” for a brand. But viewers can’t fast-forward through a video the same way they can quickly scan a page of text to find a specific fact. In addition, although videos can be tagged with descriptions, keywords, hashtags, or even a transcript of the video (words!) to allow the search engines to find them, the search engines can’t yet discern the content of a video without these written clues. Written text is fully searchable—by both search algorithms and the human eye. Video apps are entertaining—and engaging—but they are not the best medium for imparting or absorbing factual knowledge. Video is, however, the best medium, for marketing. The image-driven social media platform Instagram has 500 million users—350 million more than Twitter. Video is one of Twitter’s fastest growing formats, with video tweets growing by 50 percent since the beginning of 2016. Almost one-third of all Internet users visit YouTube. And live video streaming apps like Blab, Periscope, and Facebook Live—used by individuals and businesses to interact and engage with audiences in real time—continue to grow in popularity. Internet users love video—and absorb it in bite-sized chunks at their desks, at home, and on-the-go through mobile devices. From a business perspective, video content seals more conversions than any other delivery medium, according to a marketing benchmark report from VidYard. The majority of B2B marketers—74 percent—agree that video content is preferred over written text for product demonstrations, tutorials, interviews, and blogging. Video content sells effectively in the B2B market because it builds an emotional connection between the company and its clients. AV content also creates a more immersive, interactive experience for consumers compared with written text. People like to feel a connection with a brand they support, and audio/visual content achieves this goal. Technology—such as video walls and digital signage displays—brings consumers closer to their favorite brands, and digital media marketing continues to reach new levels of ingenuity and innovation to engage with consumers in unique ways, wherever they might be. 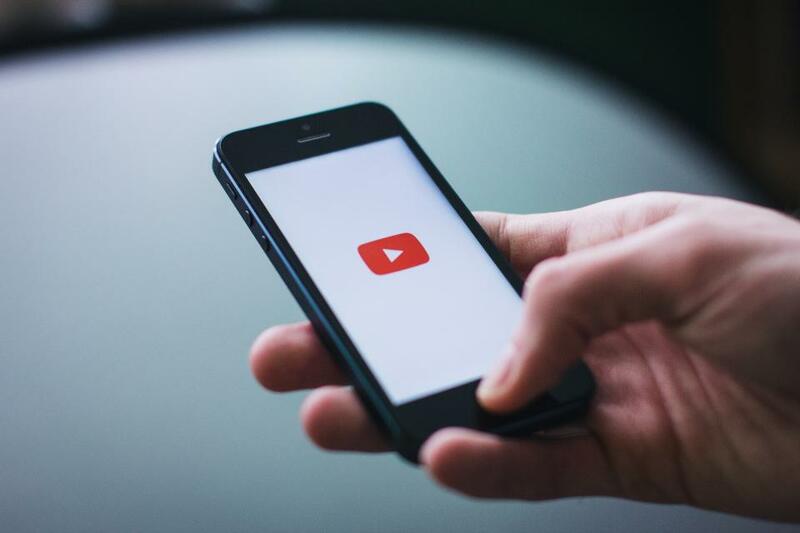 In a marketing world buzzing with content, it does appear that video is here to stay. As the written word and AV content continue to vie for the spotlight, smart businesses will find a balance between the two mediums. Consumers appreciate a variety of media to gather information about a brand. Video and text—both delivered in interactive ways—can help consumers find the facts they need, develop positive sentiment about a brand, and form decisions based on a mix of logic and emotion. And while visual apps undeniably diminish the need for the written word, text will never disappear completely. An integrated marketing strategy may be the smartest approach for today’s savvy businesspeople.